Many conditions associated with chronic pain involve the musculoskeletal system. Myofascial problems and joint swelling are chief among them. There are several forms of arthritis that can lead to debilitating pain in all areas of the spine, as well as the various joints of the arms and legs. Joint pain, myofascial pain, arthritic pain and fibromyalgia, can improve significantly with several natural remedies now available. Most people who suffer with chronic muscular pain and joint problems can derive significant benefits from exercising regularly. Stretching the muscles of the neck, back, arms, and legs helps to tone muscles. In some cases isometric and resistance exercising may also be beneficial. All of the major body joints respond remarkably well to mobilization. Active movement is therapeutic. In the upper extremities range of motion exercises from the shoulders to the fingers is essential. The same is true for the lower extremities, from the hips to the toes. People who suffer with serious muscle and joint problems should begin exercising under the direction of a qualified professional. Inflammation is the culprit in most cases of chronic pain. Several natural anti-inflammatory herbs have shown to be quite effective in alleviating inflammation and thus easing pain. They are with few exceptions side-effect free. They include turmeric, boswelia, ginger, ginseng, and willow bark. There has been an increasing amount of attention focused on complementary and alternative treatments, partially because prostate cancer can often be a slow moving disease. Natural treatments which have been used or alone with Western drug therapies to attempt to treat prostate cancer better include antioxidants, pomegranate extract,turmeric, green tea, resveratrol, silibinin, and herbs. Researchers from the University of Florida have suggested that a compound which is extracted from seaweed off the coast of Florida, may be a new line of defense against prostate cancer. The Florida research team has found that compounds in sea lettuce showed the best results from among a variety of seaweeds. Sea lettuce is a standard part of the Asian diet, where prostate cancer risk is significantly lower. Very few of the maternity wards that have won a seal of approval for providing breastfeeding support are located in communities with a significant population of African Americans, a Women’s eNews analysis finds. Breast milk is the most local of all foods and one that can have an outsized impact on the health of mothers and infants. However, for many African-American parents, finding a maternity ward that supports the process immediately after birth can be extremely difficult. That’s the finding of Women’s eNews’ review of the U.S. locations of so-called baby-friendly hospitals, maternity hospitals that have passed a set of stringent standards established by the World Health Organization to assist brand-new parents to begin breastfeeding. Regardless of whether you suffer from chronic back pain or just feel it sometimes, a change in lifestyle could help you to strengthen your back, prevent injuries and leave the pain behind. Back pain is among the most common health problems. U.S. National Institute of Health reports that about 80 percent of Americans at some time in their life suffer from back pain , and many of them have resorted to OTC medications to relieve pain . But a better approach to these troubles involves allowing the body to recover in a natural way, such as a healthy diet and exercise. Back pain can occur due to a number of reasons, for example, bio-mechanical, degenerative changes in the spine, injuries due to falls or careless lifting of objects, and some medical conditions. Wrinkles are a natural part of aging, but that doesn’t mean you can’t do anything to prevent them. While plenty of us spend lots of money on creams and cleansers, the best place to find anti-aging products is in your grocery store or garden. What we eat is just as important–if not more so–as what we slather on our skin. Nourishing our skin from the inside out can help beat the clock. And just as some foods can help slow the effects of time, other foods can speed up our skin’s aging process, contributing to wrinkles and sagging. Oldways is cooking up something totally new: cooking classes designed for African-American communities that showcase the rich and healthy roots of African culture and traditional cuisine. The traditional diet experts at Oldways, the Boston-based nonprofit, have launched a national cooking and wellness program, “A Taste of African Heritage” to help communities and individuals reconnect with the vibrant ways of eating and living that supported the health and wellbeing of African-American ancestors. This nutritional, cultural cooking program, which follows a successful pilot in 15 locations last year, debuts in 50 locations throughout the country in 2013, with 100 class sites planned for 2014. The popularity of coconut oil has skyrocketed in the Western world over the last several years. However, its many health benefits have been known in other regions of the world as part of their ancient history. Better late than never! Coconut oil is finally taking center stage, and is much needed in our modern world which contains more environmental and food toxins than ever before. 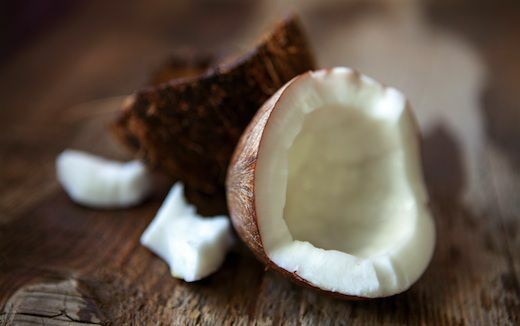 Coconut oil is being hailed as a super ingredient, superfood, and, lately, a super beauty aid. Add to this that it can be consumed or applied to all ages and it becomes a must-have in anyone’s natural health kit. Let’s take a look at a mere snapshot of the solutions to common and chronic ailments that can be provided by coconut oil. 10. Oral Health – Many natural health practitioners believe that oral health is the very foundation of overall health. Coconut oil has been used as a healthy alternative from toxic commercial toothpastes that contain fluoride. This oil also has been demonstrated to harden enamel, thus reducing the chance of serious dental events. Lastly, due to its antibacterial properties, it serves as a boost toward reducing sores and other infections. Oil pulling with coconut oil is an all-around insurance against tooth decay and debilitating oral health issues. If you are acidic, or even somewhat acidic, in your stomach, you’d probably be thankful that pumpkin seeds exist. Everywhere, people are preparing dangerously acidic meals. To counteract the negative effects of acidic foods and meals, take not of studying and incorporating pumpkin seeds into your diet. The North Americans were the first people to use pumpkins as food and as herbal medicine. Today, pumpkin seeds, called pepitas by the Mexicans, are a basic ingredient in Mexican dishes. For every 100 grams of pumpkin seeds, one can get 559 calories. These seeds increase in nutritive value as they age. According to research done in the Experimental Station in Massachusetts, squash and seeds of pumpkin that have been stored for a long, long time increase in their protein content.